Shopping is one of my favorite activities to do when traveling. I love discovering hidden shops, talented local artists and traditional crafts. I love to pick up a few small items that will be useful in my daily life, that will instantly take me back to that moment in a far away city, when I purchased them. 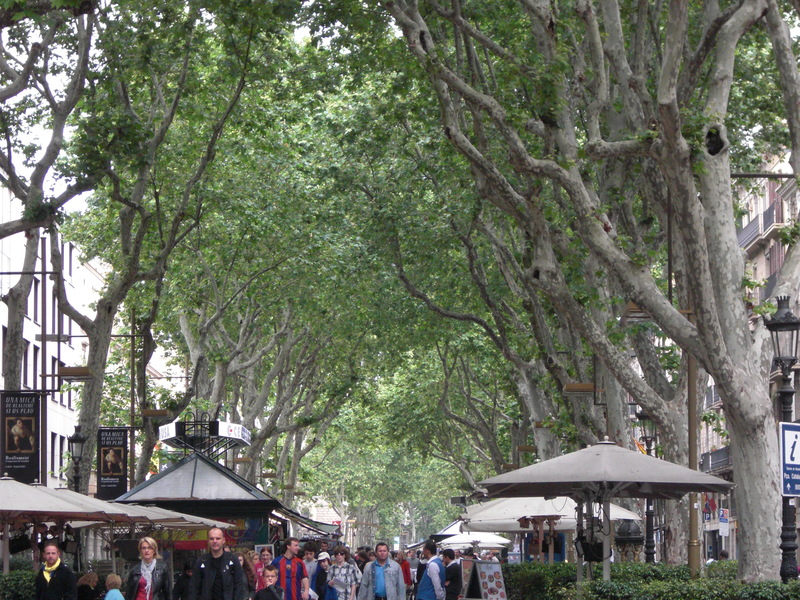 It may the memory of the way the air smelled that day, or hearing a great story from a local vendor. Either way it is a piece of that place in time in my life and my journey. I especially love to buy items from local artists, musicians and creative types. I express myself through creative outlets and I love being able to support artists abroad and by buying directly from the artists, you often have a one of a kind piece of art to cherish. 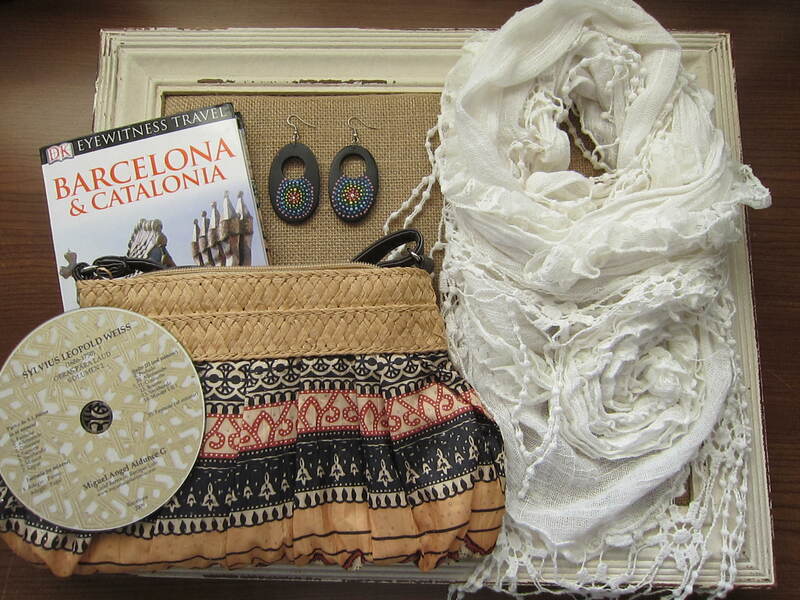 Today, I am sharing what I picked up in the beautiful city of Barcelona, Spain. 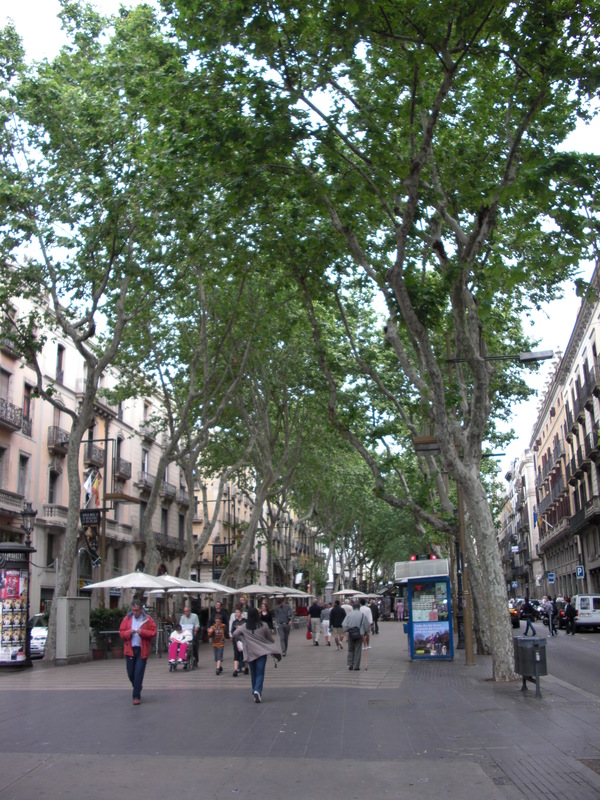 La Rambla is a tree-lined pedestrian street dotted with sidewalk cafes, local artists and flower stalls. I could stay there forever, seduced by the ocean breezes dancing across the branches. It’s a wonderful place to interact with local artists and people watch. I purchased most of my treasures along this wonderous street. There is so much to look at and I highly recommend getting lost on the side streets which offer more shopping opportunities and delicious tapas bars. 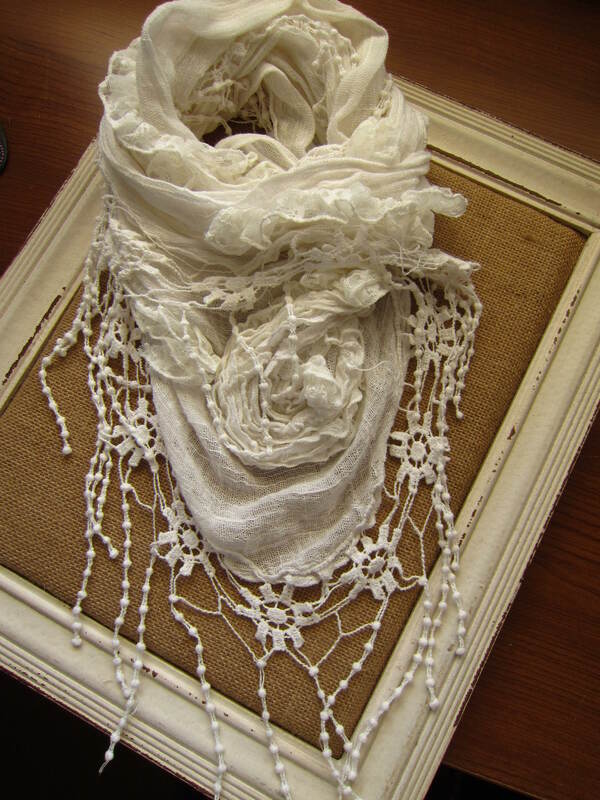 The first item I purchased was this feminine scarf with a crocheted border and rosette detailing. 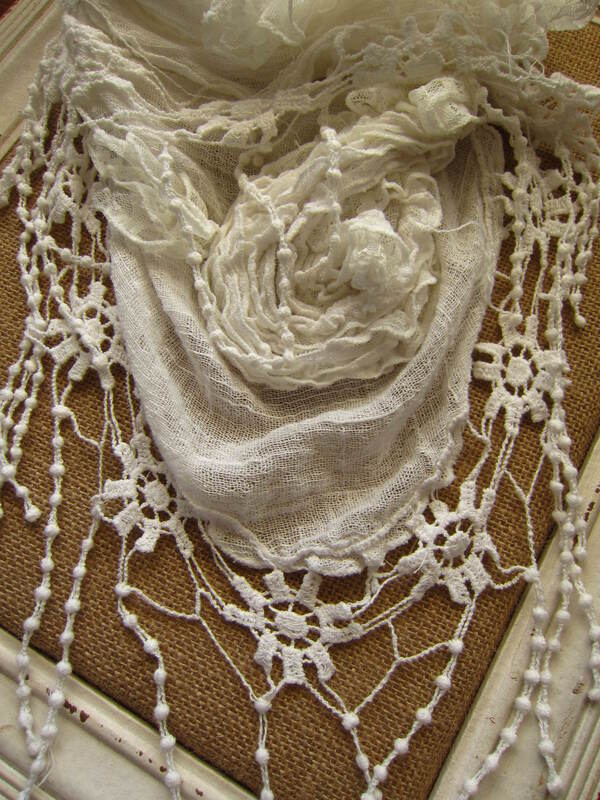 It’s lightweight, versatile and reminded me of a scarf a beautiful Spanish flamenco dancer would wear. 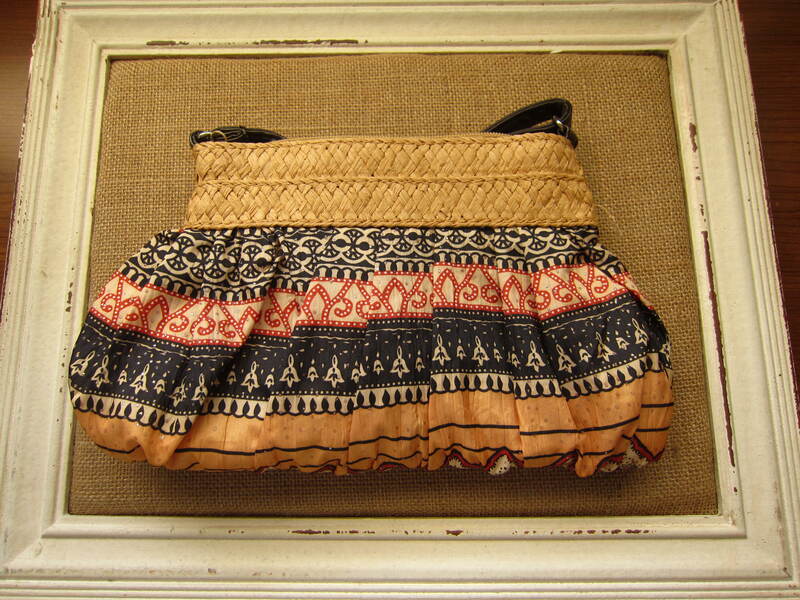 The next item I picked up was this small fabric handbag. I love small, cross body bags that are great for traveling and this one had interesting details in the pattern and woven fiber border. 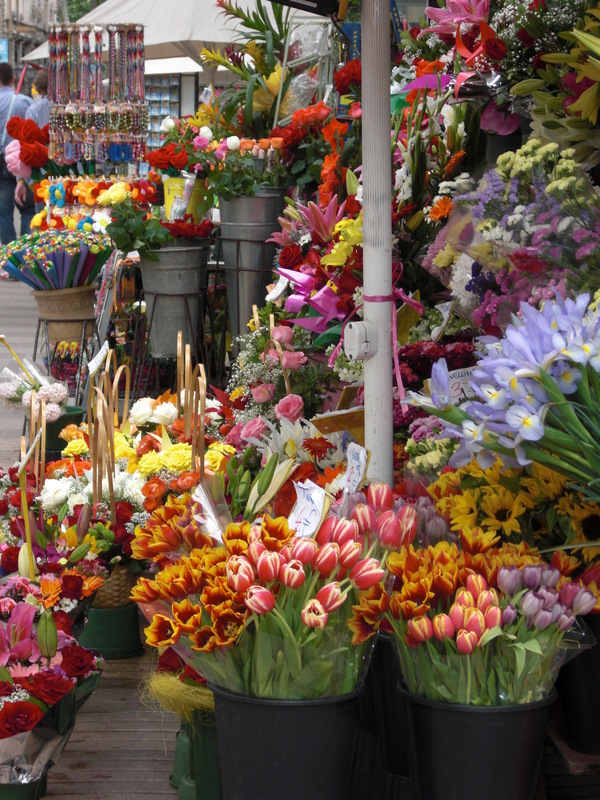 It reminds me of the colorful flower stalls sprinkled throughout La Rambla. I love patterns and textures and Barcelona is a city brimming with unique shapes, mind-blowing architecture and public works of art. It’s a feast for the eyes. 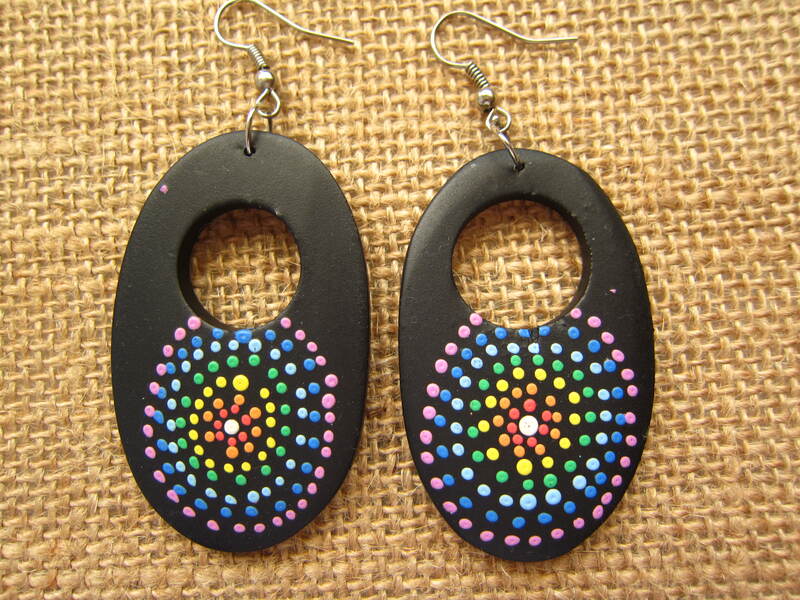 These earrings were a great combination of color and design and reminded me of all the bright tile work created by Gaudi around the city, so I picked them up as well. I love adding to my jewelry collection with pieces I find around the world. We visited the famous Park Guell, designed by Gaudi, which is filled with quirky sculptures, brilliant mosaics and surprises around every corner. As we strolled through the park we heard peaceful music filling the air. 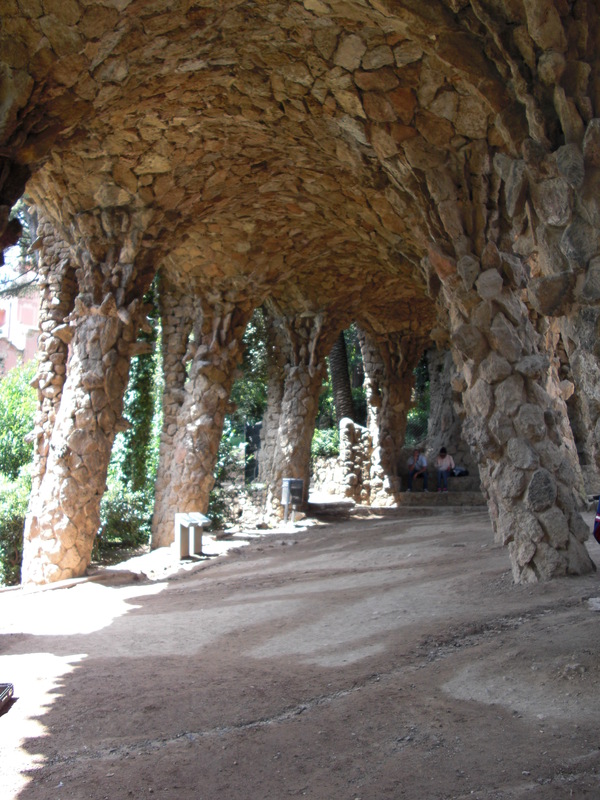 This cave like structure offered the most amazing natural acoustics for this musician playing his Baroque Lute. 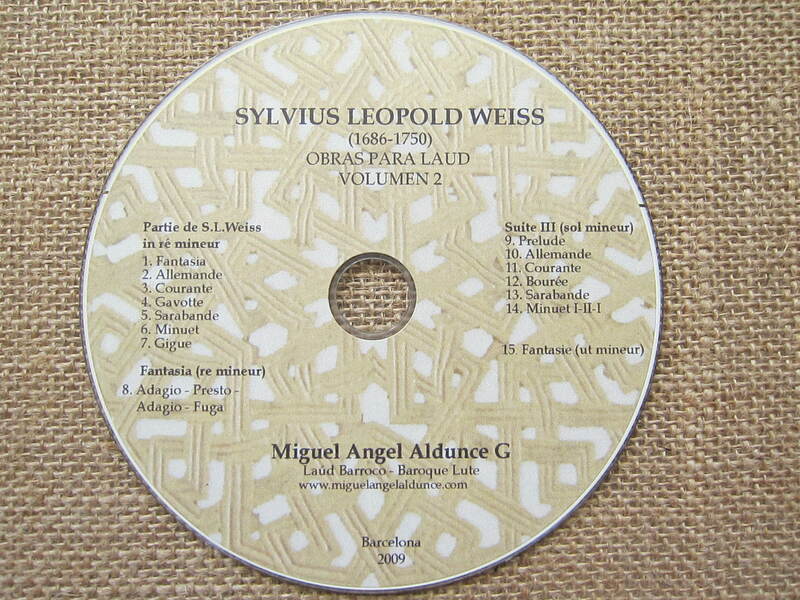 The sound is similar to Spanish guitar, sweet and seductive. We enjoyed his playing and purchased his CD to take home. Music is the heartbeat of a country and I try to bring home music whenever I travel. It has a way of instantly transporting you back to the magical place you first heard it. 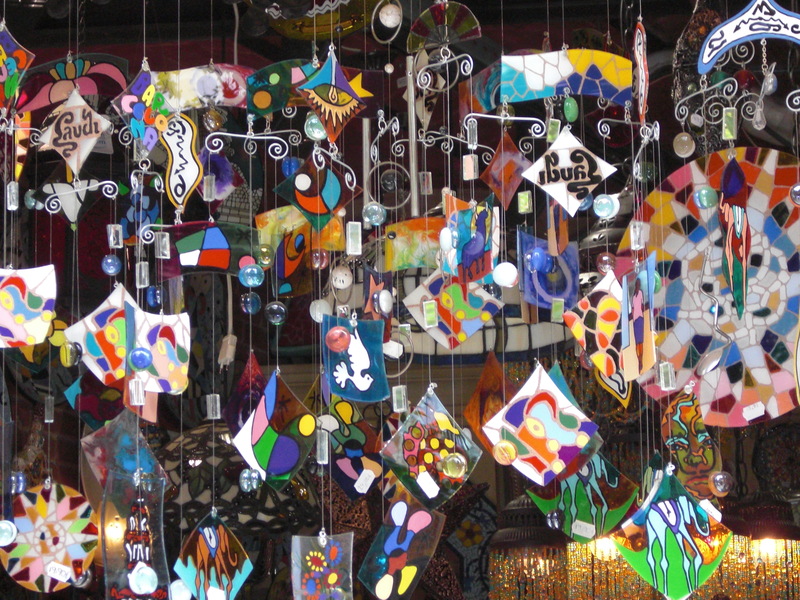 Shopping isn’t for everyone, but if you think outside the box and bring home music or spices or a piece of art, you may find that a small purchase will transport you back to that wonderful city you explored and fell in love with.